Even before the release of his first album of new material in five years, Billy Bragg has had an eventful 2013, picking up two very different honours. Not only was he given the Beard Of Winter prize by the Beard Liberation Front (a fine illustration of his facial hair appears on the cover of the new record), but he also received a Roots prize at the BBC Radio 2 Folk Awards, in recognition of his 30-year career. It's a fitting tribute for the political firebrand, whose more protest-minded material has constantly re-energised the folk movement over the last three decades. However, the new album Tooth & Nail largely dispenses with protest and focuses more on affairs of the heart. Produced by his old friend Joe Henry at his home studio in Pasadena, California, its most striking parallel in the Bragg catalogue would be Mermaid Avenue, the two albums he recorded with Americana favourites Wilco, putting fresh music to unpublished Woody Guthrie lyrics. What was your reaction to receiving a lifetime achievement award from the BBC? I'd like to think I'm still too young for a lifetime achievement award, but happily they call it a Roots award, like I'm being honoured for still having my own hair, for keeping the quiff going. Maybe it's why the beard lobby honoured me! I don't think I'm really a folk singer, in the sense of someone like Martin Carthy, who presented me with the award. I'm more of a topical singer, although that is something that has its origins, in the UK at least, in the folk revival movement. And, to be honest, for the last 20 years or so it's been folk audiences that have kept topical song alive. They've been very supportive of the songs I've been writing; they've wanted to hear me sing about the miner's strike, or things like Never Buy The Sun. Your last release, in 2011, was a compilation of topical material, Fight Songs, many of which you'd previously made available as internet downloads. The internet is ideal for that, for when you've got something to say urgently, it's totally revitalised the topical song. When I did Between The Wars back in the '80s, it took me so long to get it out to a wider audience that the miner's strike was over by the time the record was in the shops. Never Buy The Sun worked much better. I wrote it on a Friday, played it before an audience for the first time on the Saturday, put up a video of me singing it on the Sunday, recorded it with some mates on the Monday, mixed it on the Tuesday, put it up for free download on the Wednesday, and Rupert Murdoch appeared before the Leveson Inquiry on the Thursday. You can't knock that for immediacy, can you? As soon as it's up there someone in Australia can hear it, the message makes its way across the world in a flash. And, presumably, a listener in Australia can grab a guitar and play it that night in local club, in the great tradition of folk music being passed on. Exactly. It's the way the process has always worked in folk music, and the internet makes that process so much faster. It's a vital tool for artists who want to write about issues in the news, and as far as traditional folk music is concerned I think it's helped bring through a whole new generation of younger players, people who are working within the traditions but adding something new. You were heavily involved with events marking the centenary of Woody Guthrie's birth last year. Would you agree that the internet has made it easier for the public to learn about him and hear his music? Surely it's meant he's more widely known now than he was when you started making records 30 years ago? I would say so, yes, and I'd like to think that Mermaid Avenue has played a part in that as well. But back in the '80s it was nigh on impossible to find a Woody Guthrie record in England. I first heard about him from reading a Bob Dylan autobiography in 1974, but it wasn't until I first toured America in 1984 that I was able to get my hands on any records. Would you say he opened up a whole new world for you? Definitely, not least because there was so much stuff to investigate. For a man who was writing five or six songs a day, thank god he never got his hands on Twitter. He would have loved the internet, he would have been blogging every day. Woody Guthrie's Twitter Feed is a great name for a band. Haha! That's really good, I can even see what they look like! Was last year's special edition of the two Mermaid Avenue albums including previously unreleased bonus tracks timed to coincide with the Guthrie centenary, or was it just a happy accident? What happened was that after a period of time the songs reverted back to me, I don't sign life-of-copyright deals with record companies. Elektra, who'd originally put them out, had been been folded into Warners and as a result neither album was available anymore, so it made sense to put them out again in a different form to tie in with the centenary. We recorded about 50 songs altogether, so there was a lot of material that still hadn't been heard. They weren't out-takes as such, those extra tracks, they were all in the running to be included on the original albums but we just had too many of 'em. The generosity of Woody's widow Nora in giving yourself and Wilco so many sets of lyrics to work on was astonishing. Oh, she was such a dear. I remember inviting her over for the last weekend of recording in Dublin and she brought another dozen with her! One of them was Another Man's Done Gone, which we took on board straight away and it ended up on the first album. The new album Tooth & Nail shares a great deal of its sonic atmosphere with the Mermaid Avenue recordings. Was that a conscious decision? It didn't start out that way, no. It was more a case of me going to see Joe to figure out what was what. I did some shows last year for Woody's centenary, playing a lot of Mermaid Avenue songs, and I found that people seemed to lean in to listen to what I was doing, I was able to create a very intimate atmosphere, and it was that intimacy that I wanted to bring to the new record. That was the thinking behind the way we wanted to record the new songs, but initially I didn't even know it was going to result in a whole album. Joe invited me to come over to his studio in Pasadena, he told me not to bother bringing a guitar, just a bunch of songs and a change of underwear and we'd see what happened. How long have you known Joe? Have you worked together in the past? I've known him for a very long time, in fact he was one of the people I sounded out about doing Mermaid Avenue. I thought of a number of people, including Iris Dement and David Lindley, but when Wilco came on board it fitted exactly what I had in mind, and doing the whole thing with one band seemed a stronger idea than a various artists tribute record. I did some shows with Joe and his band in Germany in 2009, which Roseanne Cash was also involved in. We had the best time, and we tentatively talked about all of us doing a record together then, but unfortunately Roseanne's label had other ideas for her next project. But I never forgot the ease of working with him and the musicians he uses, so it was an easy decision to go along and trust him with the songs for Tooth & Nail. I don't think I've ever made a record before where I wasn't the guy in charge of everything, deciding when to take a tea break and what type of biscuits to have. Tell us more about the musicians on the album. Greg Leisz is an amazing player, predominantly known for playing pedal steel and slide, but he also plays beautiful, beautiful guitar, he played on the Bon Iver album that I was really in to. Patrick Warren played on the Lana Del Ray album, and he's a very sympathetic musician to work with, he never tries to get to the front and lead with the piano. David Piltch had played bass during the Germany gigs with Joe, and Jay Bellerose is someone I've admired for a really long time. I first saw him playing with Joe in London many years back, and he's one of those drummers where you become obsessed with everything he does. I often study in detail what singer-songwriters are doing on stage, but in this case it was this bloody drummer I couldn't take my eyes off! So, the songs were written before you headed to Pasadena. Did many of them take on a different shape once you started recording? Yep, definitely. Some of them were ideas that needed knocking into shape. I had the tune for Your Name On My Tongue but no lyrics, so Joe and me worked those up together; Handyman Blues I wrote in the taxi on the way to the airport; January Song was one I wrote in the studio, three days in, when it began to occur to me that if I pulled my finger out and did a couple more things we'd actually have enough for an actual album. Chasing Rainbows sounds like a quintessential country song that could have been written 50 years ago for someone like George Jones or Buck Owens, the kind of thing very few Americans tend to write anymore. Brits like yourself or Elvis Costello seem to be especially good at it, though. It's funny you should say that, because when we were in the studio Joe and Greg were discussing how to present the song. Greg said the obvious thing would be to put pedal steel on it, but neither of them were keen to do so. I had to pipe up and tell them that I wrote it so that it could have pedal steel - indulge me! A lot of the time American musicians subconsciously veer away from the past, whereas we Brits are more inclined to embrace it. Your old friend, the comedian Phill Jupitus, claims you wrote Goodbye Goodbye in his house, and he reckons there should be a blue plaque commemorating it. Haha! Yeah, it was a very strange experience, that one. He was doing his last show as the breakfast DJ on BBC 6 Music, which he broadcast from home in his kitchen. He invited me to come over, along with a bunch of his neighbours. I was upstairs sleeping and he woke me up when he kicked off at 6am. I wasn't due to be playing anything for him until about half past nine, but I started twiddling around on one of his guitars and suddenly got these really nice chords and a couple of ideas for lyrics about saying goodbye. So, yes, the first time I ever played it to the public was on his show about 40 minutes after I'd finished writing it. It nearly got on the last album [2008's Mr Love & Justice], it came rather late in those sessions. I did a version with just me, a guitar and a cello, and it was going to be the last track. But when I played the whole album in sequence to a few people they thought I was announcing my retirement! So, I thought better of it, and decided to leave it until the next record. You've always got a bag of unheard songs knocking around, though, haven't you? Yeah, I wrote a song last year to mark the 100th anniversary of the Titanic sinking. I was asked to take part in a radio documentary that ran from 11 in the evening until two in the morning, a kind of real time broadcast covering the period from when the ship hit the iceberg to when it finally sank. I had to give it a bit of thought - I mean, how can you write a song about the Titanic without Celine Dion breathing down your neck?! In the end I wrote a song about the iceberg, half expecting the producers to tell me to stop taking the piss. It's called The Song Of The Iceberg; we've got the rights to the radio recording, and we'll be putting it out for Record Store Day on 20 April. It's always good when you're writing a song about real world events to be able to add something to the story. Even Bob Dylan had to put a reference to Leonardo DiCaprio in Tempest, his song about the Titanic, but I bet I'm the first to write something from the point of view of the iceberg. Five years between albums of new material is quite a gap. What are your hopes for the new record? I think Tooth & Nail has the potential to be transformative in the way that Mermaid Avenue was. It won't get me into the O2 Arena, but I think it has the potential to reach more people than the standard Billy Bragg album, to connect with some of those people who haven't listened to me for a long time. Perhaps, if I'm lucky, it'll appeal to people who've dismissed me as nothing but a political songwriter. It's certainly a more personal than political collection of songs. Would you say it's your most personal album yet? I think Worker's Playtime  was quite a personal record. That came off the back of the failure of the Labour Party's youth campaign Red Wedge, a couple of years of intense politics that started with the miner's strike. I needed to step back and look at the bigger picture. I think Tooth & Nail is a similar attempt to look at a bigger picture, and realise that the struggles involved in long-term relationships are as important as the struggles of trying to change the world. Tooth & Nail is out on Cooking Vinyl Records on 18 March. 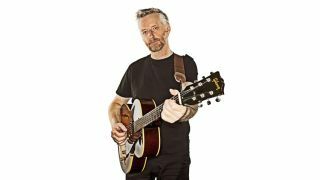 For more information, visit the official Billy Bragg website.